This year seems to be flying by as we start upon week ten! 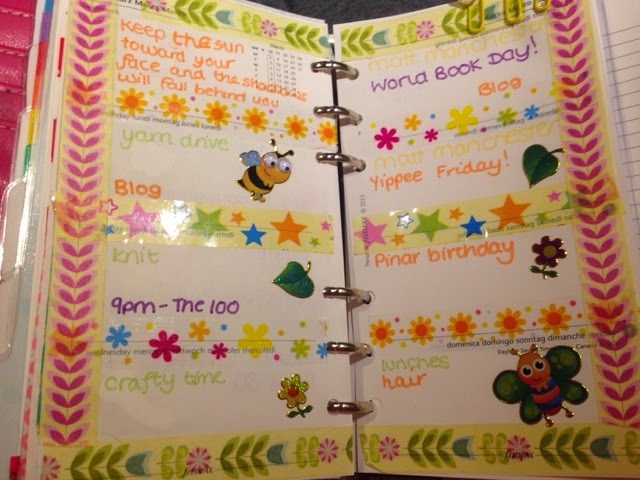 I've gone for different themes in my planners this week. 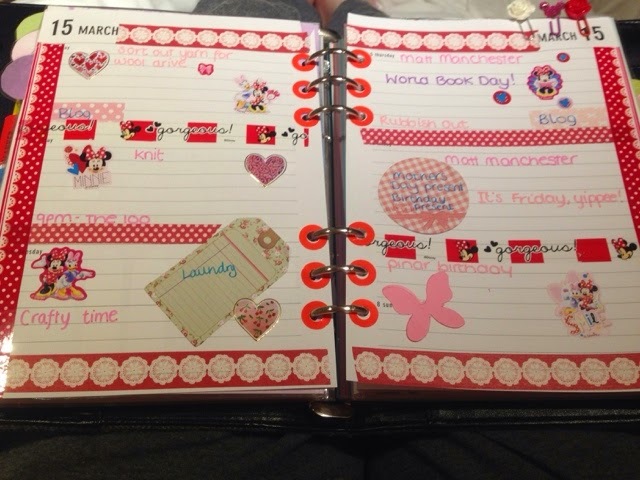 With my Tweed, I opted for a Minnie Mouse theme after some new stickers turned up. I kind of wish I had used pinks instead of reds as it appears a bit dark. With Broadchurch ending my week feels pretty empty. I may have to wait for it to come out on DVD to fill the void! 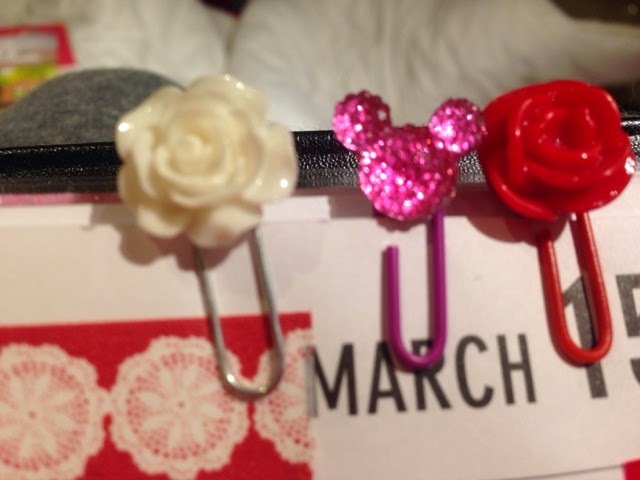 I opted for floral and sparkly paperclips this week to compliment my page. I'm really enjoying using cabochons to personalise my paperclips and therefore my week. My personal size however I opted for a sunny yellow spring time theme which is bright and cheerful: exactly what I need in my pocket whilst I wait for spring to arrive. 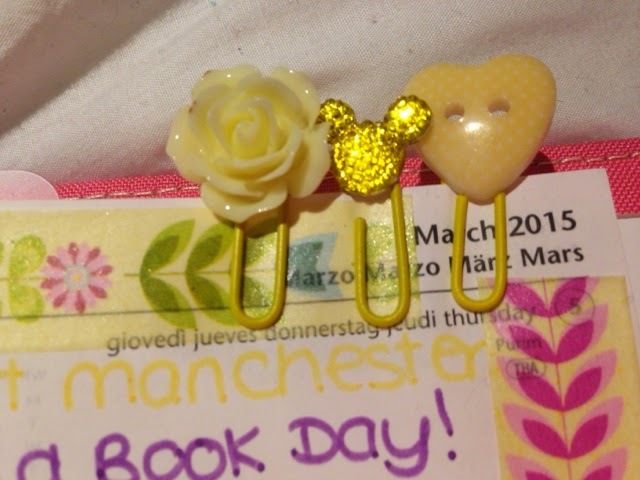 I opted for pretty yellow paperclips to match this week's pages, using flowers and sparkle to carry on that springtime feeling!